International Accounting Bulletin in its last November issue, published the first results regarding the European rankings. In Germany ANTEA was placed 7th by fee revenue and 5th by number of employees, improving last years’ results. In France ANTEA participated for the first time, being in the Top 10 associations in the country, both by fee revenue and number of employees. 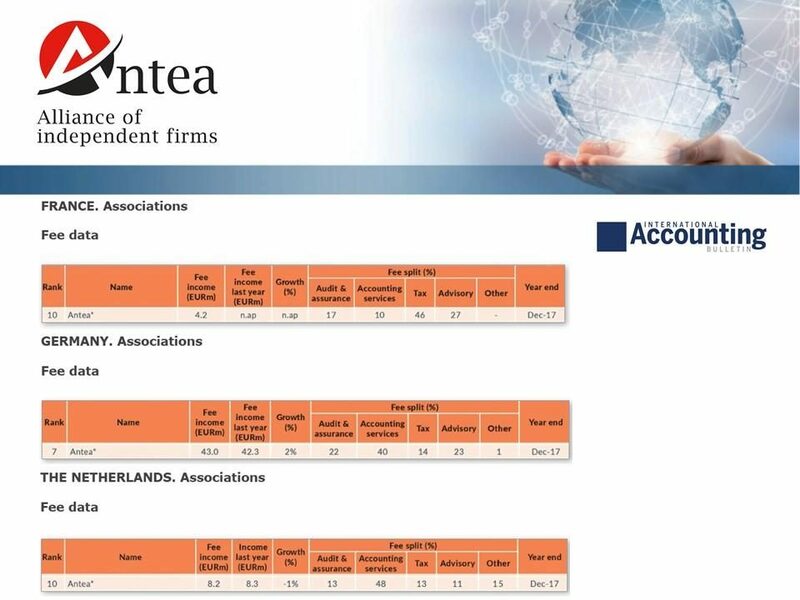 And in the Netherlands, ANTEA was positioned 10th by fee revenue and 8th by number of employees, improving 2017 results as well. Congratulations, to all ANTEA members who participated in the surveys!